Well, we all know that many countries around the world are taking strict measures against online crimes and there are many other reasons why many countries have put up strict laws of internet censorship on the people living in those countries. You will find a lot of countries where these restrictions are imposed on the people, and the major reasons behind these restrictions include online security, prevention of offensive and violent content while some governments also use internet restrictions to prevent criticism against their leaders. Some of the countries where such strict internet censorship laws are imposed include China, Iran, Saudi Arab, Malaysia and many others. Some might think that US is one of those countries where freedom of expression is very much popular and that is why you will not find any internet censorship laws in the US, but I am afraid all those people are thinking wrong because recently there were many new legislations added in US related to internet laws, online privacy and copyrights issues. And due to all these laws and legislations, many websites and internet users are affected severely. There are many websites that were popular in the country are now closed by the government and users have nowhere else to go. This is really against the freedom of expression thinking we were talking about earlier. People living in the country are really disappointed by this act from the government, as the authorities have no plans of resuming these websites. In addition to that, many other websites have voluntarily stopped providing their services in US to avoid legal battles and other similar issues. As I mentioned above, there are many websites that have been blocked in the US and one of them is uploaded.to. Uploaded.to is one of the much popular websites previously working in the US and now the services of these websites have been stopped from 21st January 2012. You might remember that a similar and another very popular website MegaUpload.com was also closed on 19th January 2012, and FBI even arrested the owner of the website for online crimes and piracy issues. So, uploaded.to was very similar website and had same objective as the Megaupload.com and that is why they might have thought of closing it down for their own protection. So, in result, from that day, no one living in the US was able to access the uploaded.to website. Of course it is very disappointing for many users who had stored tons of data online and now they have no chances of getting back their data or sending it to someone. You should also keep in mind that the stoppage in the service is not just a temporary phase but the uploaded.to is now permanently closed. So, after the closing of uploaded.to in the US, people have been trying to find many other ways to access this website somehow but they are unable to do so. Some might have gotten lucky anyhow, but most of the internet users have failed to get access to the uploaded.to website in the US. One of the most used alternative ways is proxy server but those are not good enough most of the time. Well, today we are going to let you know a way that will allow you to unblock uploaded.to in the US. A VPN or Virtual Private Network will be connected to a remote server located in a different country where the services of uploaded.to are still available. Basically, a VPN works on a very simple mechanism, as it will connect your computer to that remote server and route all your internet traffic through that server. In addition to that, the remote server located in that country will hide your US IP address and generate a new local IP address of that country for you. With this new IP address you will be able to access uploaded.to while living in the US without any trouble. A VPN has many other advantages as well. As I mentioned above, you will be connected to a VPN server located in another country, and in addition to the uploaded.to, you will also be able to connect to the local websites, that are only accessible in that country. Additionally, VPN creates a tunnel between your computer and the remote server and through that tunnel all your internet traffic transfers. But before entering the tunnel, all your internet activity is encrypted and then when it reaches the other end, it is decrypted. That allows you to surf the internet safely as well as anonymously. It means that no third party including your ISP, authorities, hackers, spammers or even FBI will be able to track your internet activity back to you and you will be able to access the internet anonymously. Now you also need to know that usually VPN services are very cheap and easy to purchase, so only choose the right VPN for yourself. You can select a package available at a particular VPN provider and then pay for it using credit or debit card. You can also select from monthly, bi yearly and yearly packages. And once you have set it up on your computer, you will not have to worry about it and it will automatically turn on whenever you are connected to the internet. There are many VPN providers available in the US that can solve your issue and provide access to uploaded.to as well as other website. Of course you will have to choose wisely as there are many VPN providers that claim to provide the best quality services. 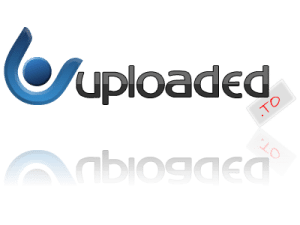 To solve your problem of recognizing the right choice, here we have posted a list of our most recommended VPN providers that will unblock uploaded.to website in the US for you.